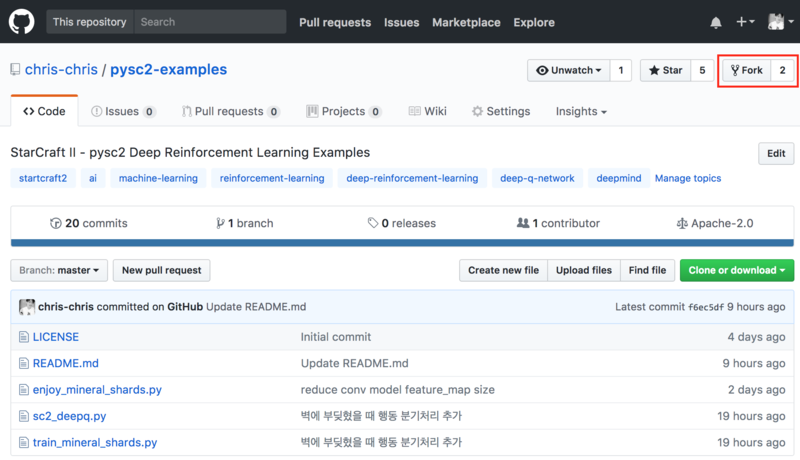 So lately I’ve been really obsessed with reinforcement learning, and finding that DeepMind open-sourced the StarCraft II reinforcement learning environment to the public got me excited. I’m a big fan of Blizzard games, especially StarCraft II, so I saw the RL environment as a great opportunity to learn and also just have a lot of fun. After talking to some friends about this, I decided write up an intro tutorial for setting up the environment and training some models. This tutorial is based on Mac environment. On today’s article, we’ll run training scripts to solve the CollectMineralShards mini-game using Deep Q-Network. When we run the training script, you can see the training result like below. First of all, we’ll install pysc2 library. You can just type the commands on the terminal. Then you have your pysc2 installed. Next, open the Github link below. Okay, let’s clone the project. You can clone this repository with this simple command. Then you will see ‘pysc2-examples’ directory on your computer. Before running the training script, we have to download mini-games maps. And save these maps to StarCraft II/Maps directory. If you are a Windows user, use can save the maps in StarCraft II/Maps/mini_games directory. For Linux users, save the maps in ~/StarCraft II/Maps/mini_games directory. We need some more libraries! We need the Google Tensorflow and OpenAI baselines libraries. You can install these libraries by typing the commands below. I implemented the reinforcement model using OpenAI's baselines library. Since OpenAI’s baselines library depends on Tensorflow we need to install Tensorflow. I think OpenAI’s baselines is the most beautiful implementation of Deep Q-Network, which is why i’m using it! By typing the commands below, the training will be started. Quick note! 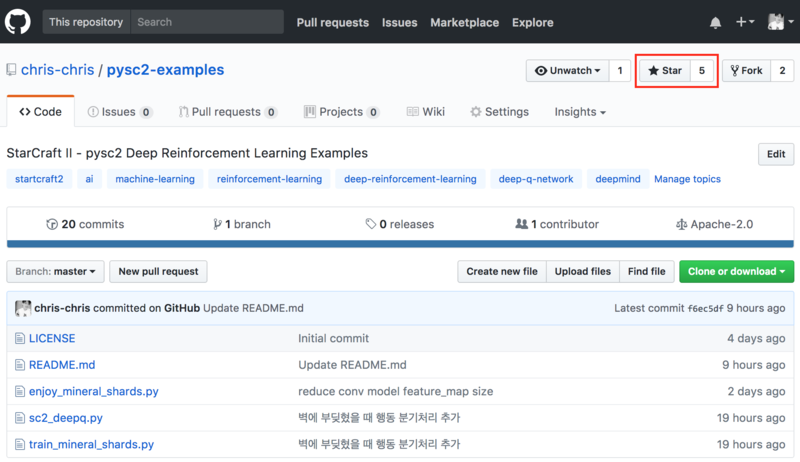 I strongly recommend that you develop your reinforcement learning on IDE(Integrated Development Environment). This is because I’m going to explain the detail environment variables using Debug mode :) I’m currently running this project on IntelliJ. Execute IntelliJ or PyCharm. And open the project folder which we cloned. And let’s set the Project Structure. 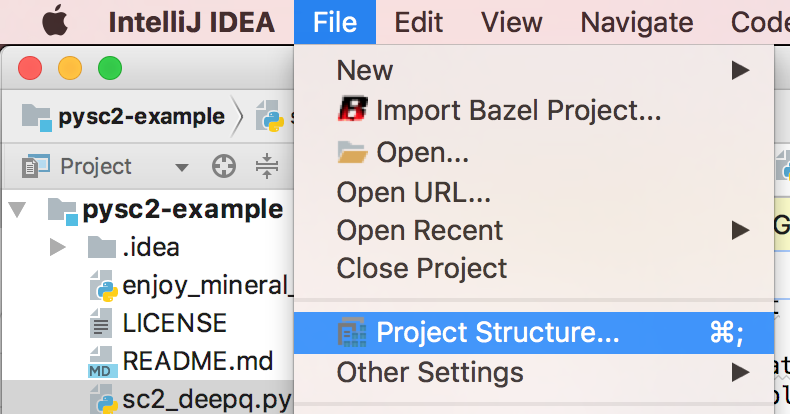 Select [File > Project Structure] menu. 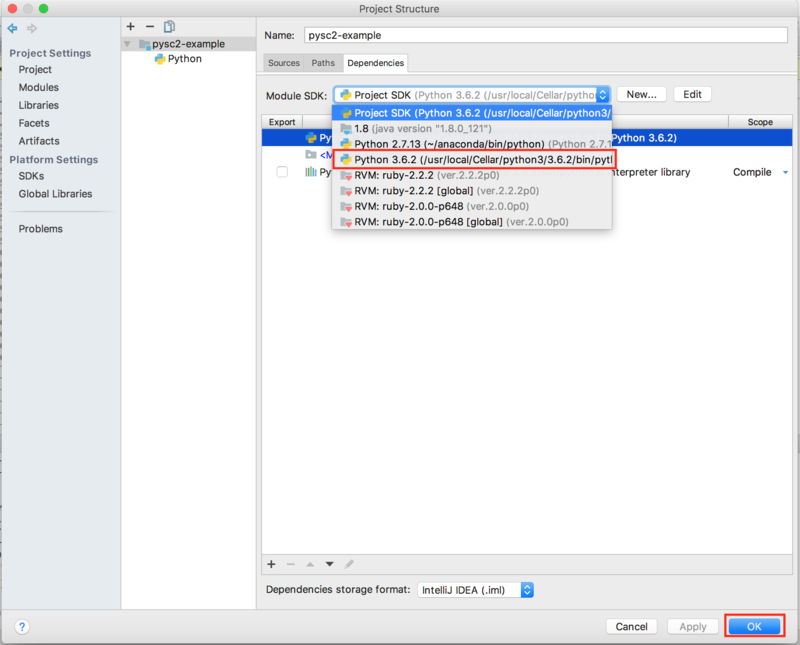 And select Python3 SDK on Module SDK. If you cannot find the SDK, click [New...] button and add your python3 binary. And then, let’s run the trainig script. 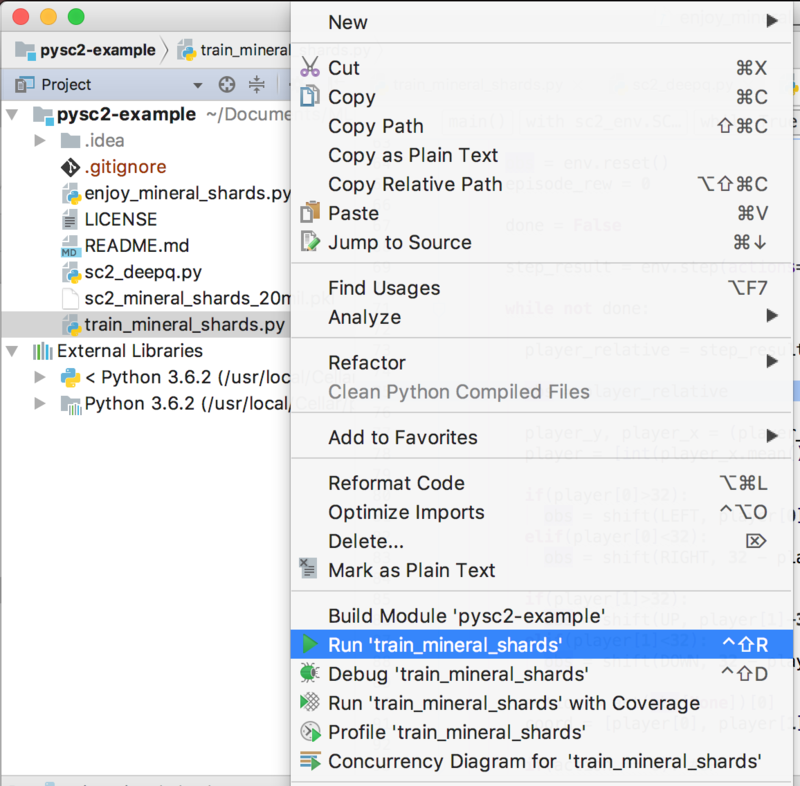 Right click the train_mineral_shards.py and select [Run 'train_mineral_shards'] menu. Then you will see the logs on the console while executing StarCraft II. This is the brief explanation of console logs. steps : The number of commands that we sent to marines. episodes : The number of games that we played. mean 100 episode reward : mean rewards of last 100 episodes. 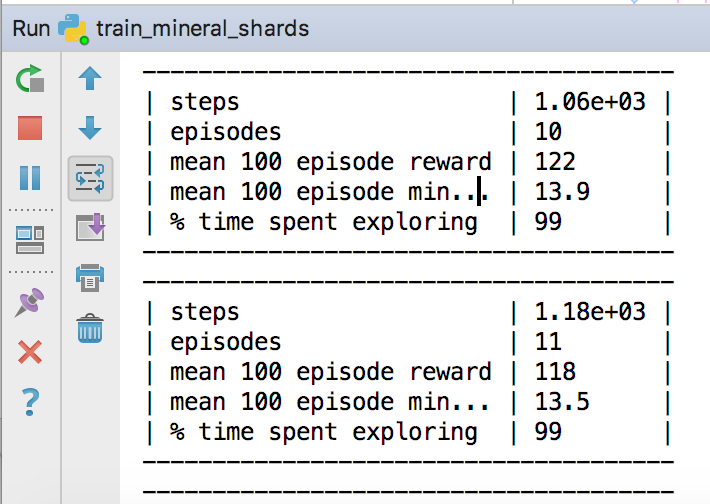 mean 100 episode min… : mean minerals of last 100 episodes. Currently I set the train script to run 20,000,000 steps. I coded the program to save the trained model to the mineral_shards.pkl file after all the training steps. 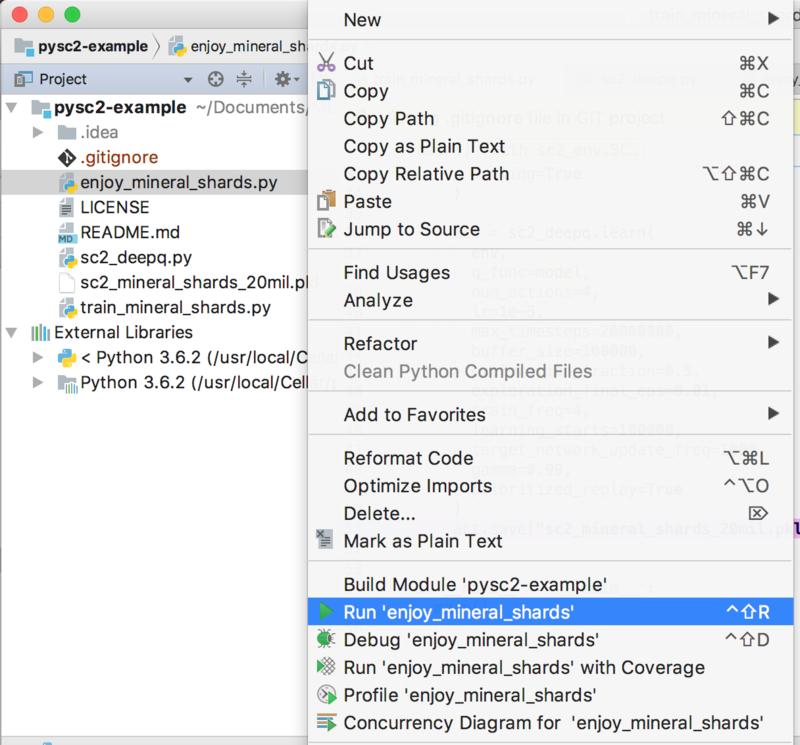 Right click the enjoy_mineral_shards.py and select [Run 'enjoy_mineral_shards'] menu. Then you can see the pre-trained agent of CollectMineralShards map. On this article, I just introduced the way you set your environment and train the model. 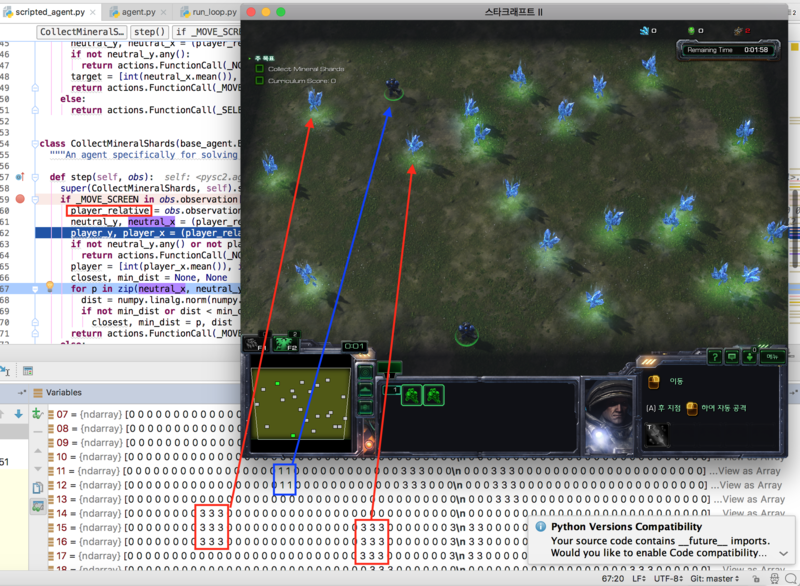 The way I developed Deep Q-Network on StarCraft II mini-games.